Treyarch, the studio behind upcoming Call of Duty: Black Ops, has stealthily granted GameServers.com exclusive rights to provide Black Ops servers. They’re one of the largest providers in North America – but what does this mean for PC gamers elsewhere? Various figures in the Call of Duty community, such as @JD_2020 and @PCDev, have posted about the deal on websites, forums and Twitter. But it appears no official announcement has been made from the studio, while GameServers.com has written a press release and is displaying the info on their site. As Treyarch’s “trusted” server provider, GameServers.com will help insure server files won’t be made public. This, in the same way Modern Warfare 2 avoided dedicated servers altogether, will maintain control over the player’s experience. 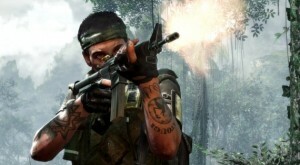 Expect Treyarch to be more mod friendly that Infinity Ward was (although the inclusion of modes like GunGame shows they’re happy to take modders’ ideas as their own), but admins will only have access to a control panel with minimal options such as the number of allowed players, game mode, customisable perks, etc. The GameServers website already allows you to preorder Black Ops servers, with the message “Reserve your location by preordering your CoD: Black Ops server now”. It suggests the amount of servers may be limited, yet it could be just to create a sense of urgency. Funnily enough, GameServers.com displays a green ping for the entire west coast. But even if there were a guarantee of lighting fast pings on the east coast, what about our Perth players? Doomed to a 60-100 ping? And will our servers be flooded with Southeast Asian players, already irate due to their pings? 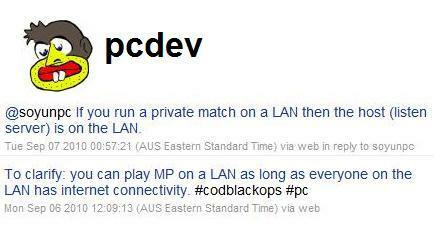 Not too long ago in PC PowerPlay I predicted the possibility of Call of Duty games charging server admins for the right to host a CoD server. Could this be happening here indirectly? Could GameServers.com have bid for this middle-man monopoly? Or is the benefit for Treyarch simply in maintaining total control over Black Ops multiplayer, having met us in the middle on the dedicated server issue? I’d like to know if there is any other game server provider out there that would earn the trust from Treyarch in the future.